After 18 hours of flying the ICEBERGS members have finally made it to the Falkland Islands (FI)! 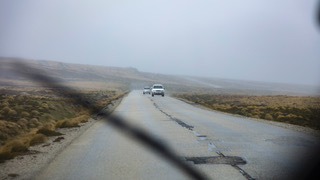 Windy and rugged terrain, completely void of trees, the Falkland Islands are a remote archipelago in the South Atlantic. Once we arrived in the FI, we were picked up by a van and headed to our accommodation in Stanley. Now we will wait the arrival of your colleagues and friends and and prepare to set sail tomorrow! Some of us, as newcomers, are looking forward to exploring the island before we set sail. We are looking forward to sharing these adventures with you in a few days. See you soon and on behalf of the ICEBERGS team: Thanks for following us on this adventure!